Later that day while we were looking through it (interesting and odd food photos by the way), I came across this recipe. 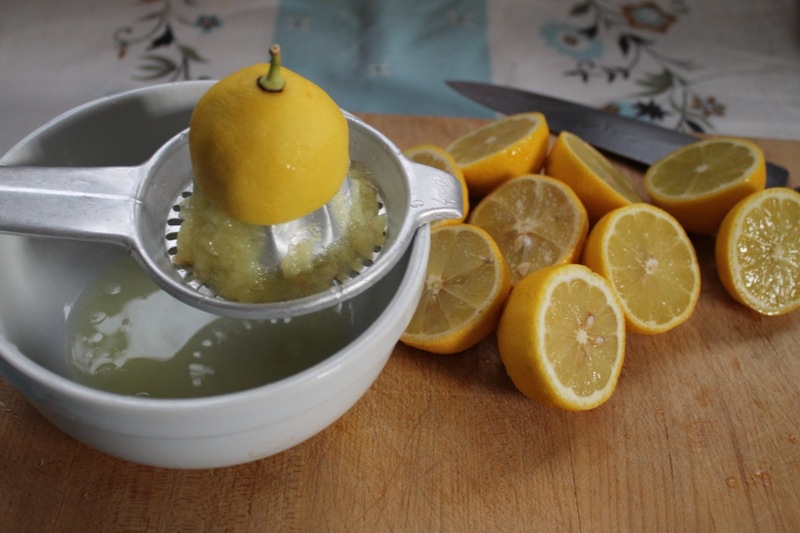 I was so excited because I had just been thinking about how nice it would be to have fresh lemonade and here was a recipe for ‘Party Lemonade!’ Who doesn’t love a party, I had to try it – it was so good I had to share. Stir vigorously with a wooden spoon. 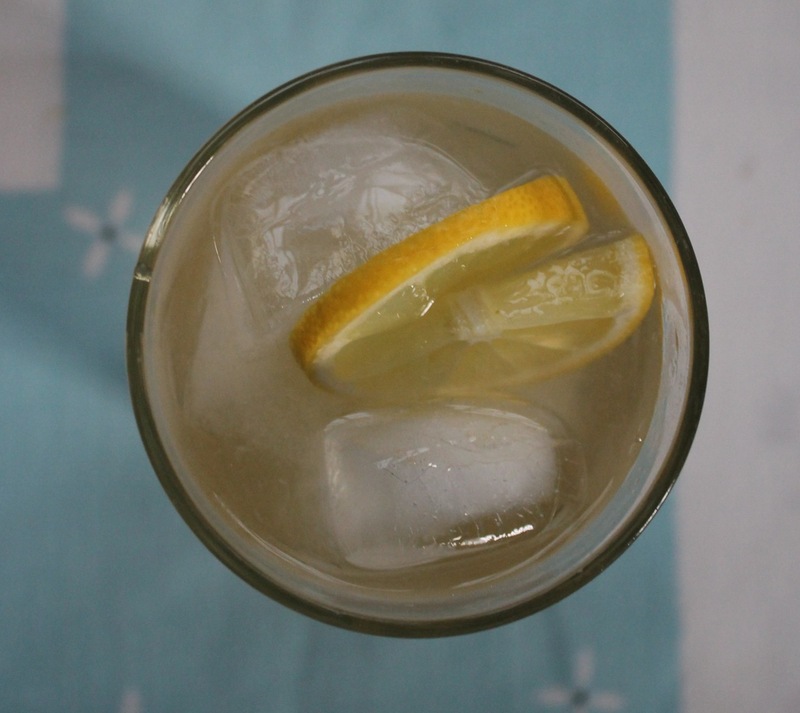 drink your vitamin C, stay cool and enjoy! 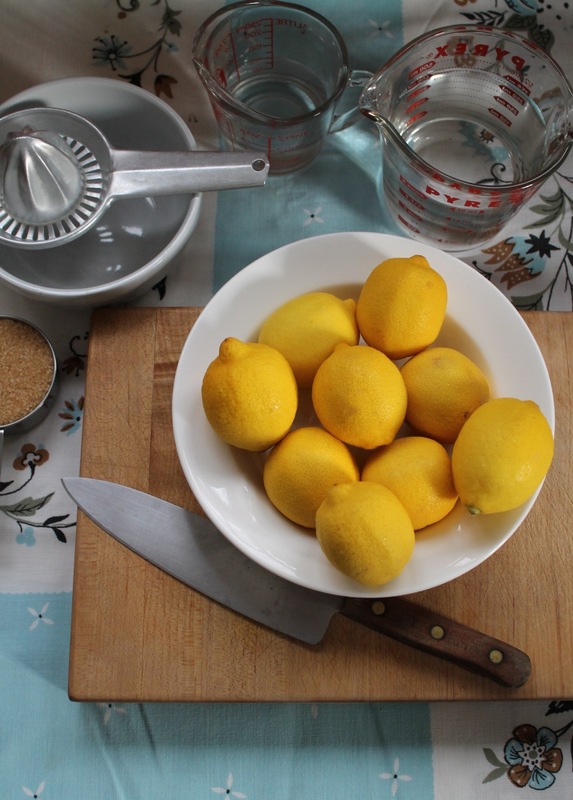 This entry was posted in children, eating, everyday life, home, photography, simplicity, treasure trove and tagged DIY, fresh juice, healthy drinking, how to make fresh lemonade, jennifer wurst, lemon juice, self-sufficiency, square one vodka by ripe red berries. Bookmark the permalink. 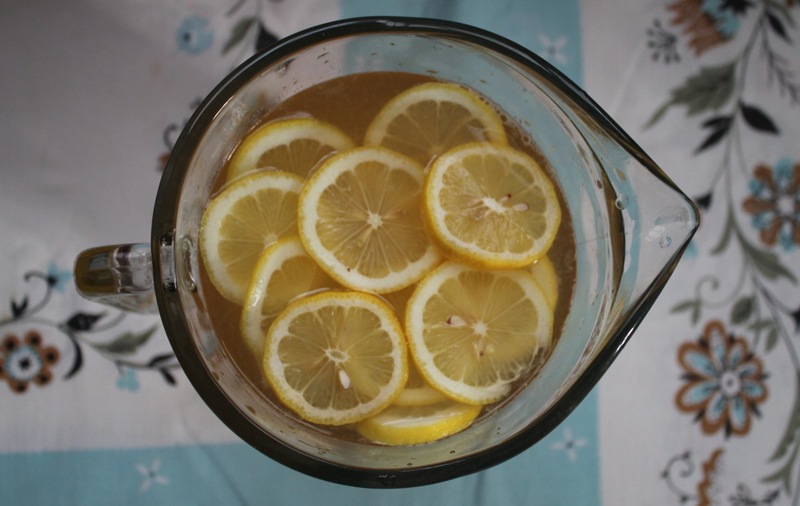 I love lemonade in the summer, or better yet, half lemonade and half iced tea. I really love your table cloth! So pretty.